I often get ask about eco prints. People sometimes think they are made using a screen print technique or the colour comes from synthetic dyes. I have taken this as an opportunity to give you a short overview what eco print is and why I am so passionate about it. 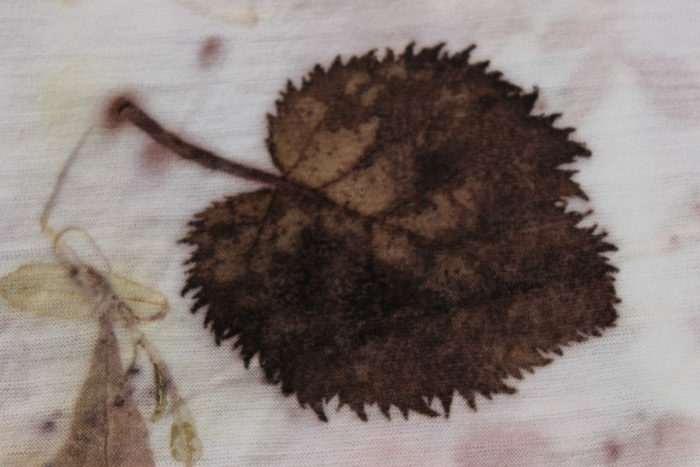 Eco print, also known as leaf print, is a direct contact method to make prints, drawing out pigments from plant material onto fabric (and paper) with the help of moisture and time. Moisture in form of heated water can be used either through steam or in a simmering bath; both allow the cloth to accept the dye. 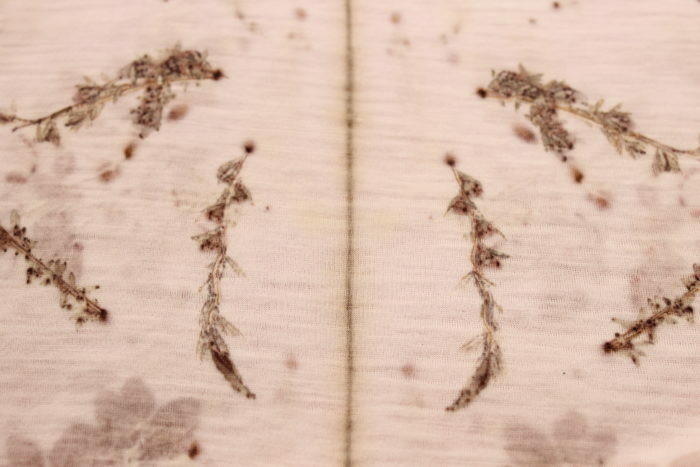 The lengths of time of the contact between plant material and fabric will influence the result as well. Natural dyes bond particularly well with any protein fibres (silk, wool) and cellulose fibres (cotton, linen) although bonding of pigments with cellulose fibres are usually less strong and vibrant. 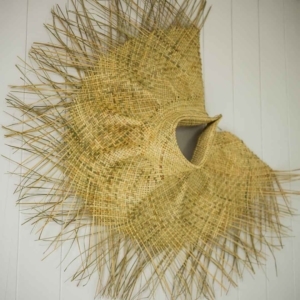 Eco prints can be produced from a vast variety of plant materials such as leaves, flower petals, barks and vegetable skins, the selection is endless. Applied mordents (a fixer which ensures colour and light fastness) will have an impact on the outcomes. A mix of different mordents will change the colour of the print. Other factors such as the season and location of plant collection and the mineral content of the water will help shifting and changing colours. This is what excites me about the process; experimenting with these endless combinations to achieve sophisticated and unique prints, often unexpected. Although using a two dimensional technique, the natural and unevenly colours of the prints turn them into a work with a three dimensional impression. 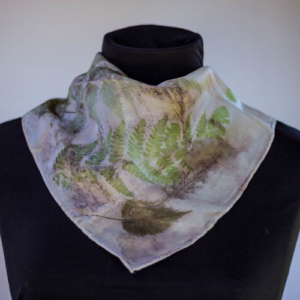 Living in New Zealand I am particular interested in testing eco prints from native plants of the New Zealand bush preliminary on wool and silks. 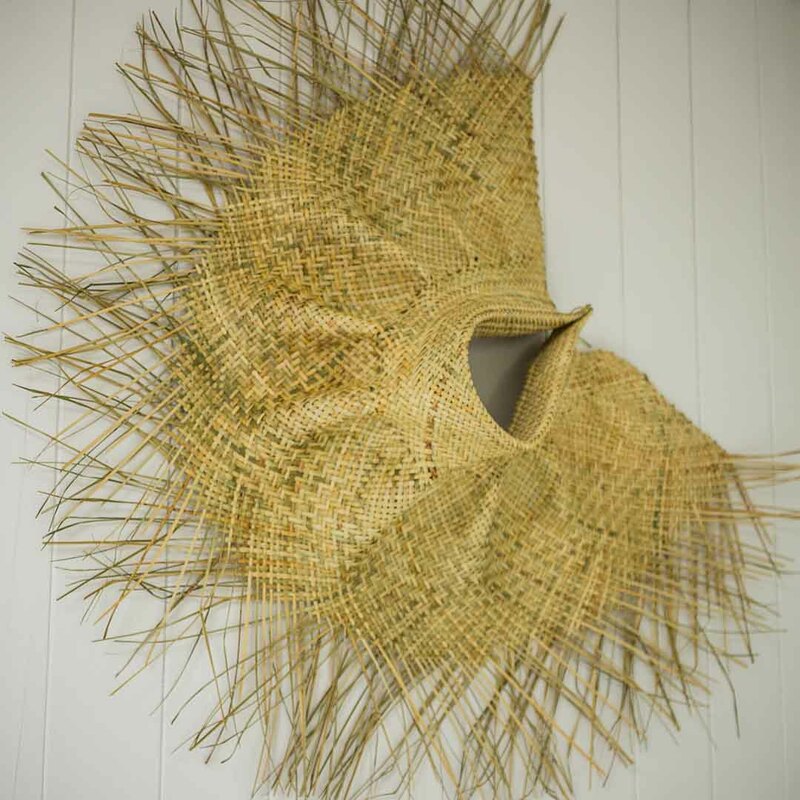 This includes research about plants used by Maori as food and dye source and in traditional medicine. Gathering this old knowledge also helps to understand the world around me. 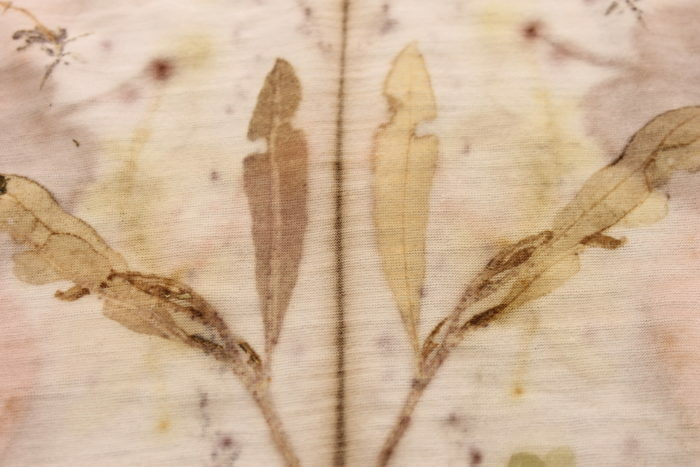 Learning about the alchemy of plants is another important aspect of eco print, but is secondary for my artistic and serendipitous explorations. As a textile artist I am trying to find new ways of mark making onto fabrics and sometimes onto paper. My desire is to make unique eco prints is a sustainable approach to use traditional dye plants in a new way, as an art form, revealing the invisible. These are stunning Birgit. It must be like opening presents when you unveil your creations. I wonder if it is possible to do a ‘reverse’ technique? I don’t understand how mordents work, but if you had black/dark material and could transfer the patterns with a stripping type mordent? or is that just a ridiculous suggestion?! yes, thats one reason I keep doing this, the undoing is so so exciting! loving the lichen, reminds me of the effects from seaweed – it’ll add another layer to the scent of the fabric as well. can’t wait to have a play. yes lichens are an interesting add on. I am happy to use lichens from this region, they are abundant and easy to gather.